In a safe and comfortable environment, I help my clients transform life’s difficult transitions and challenges into turning points for growth and change. I provide the guidance and support necessary to help them explore and release old patterns that are no longer working so they can live a more meaningful and fulfilling life. One focus of my private practice is exploring the individual’s unique creative expression and their spirituality, in order to help them become more whole and integrated at all levels of their being. As part of this work I have taught many of my clients’ various stress reducing and centering techniques like breath work, meditation, mindfulness and guided imagery. 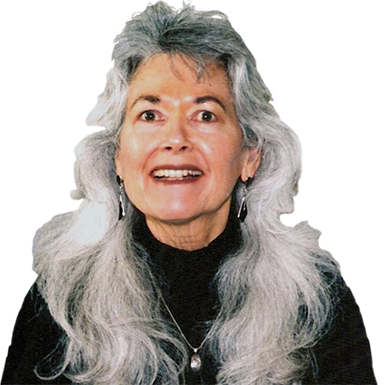 I’m a Certified Tarotpy Practitioner, a system that was pioneered in 1983 by Lauren Schneider, M.F.T. (Institute of Dreams and Tarotpy). By using Tarotpy we’re going to be working with the rich symbolism of Tarot, Dream Cards, and other imagery systems, thus revealing your unconscious dynamics and strengthening your inner resources. I have a profound respect for my client’s inherent wisdom, creativity and wholeness. Ours is going to be an interactive process whereby we approach your images without any preconceived ideas. The use of imagery will stimulate your creative imagination and has been successful in healing all kinds of issues, including anxiety and depression, even in cases where a client’s process seems to be blocked. Very frequently we notice profound shifts that occur spontaneously and lend themselves to meaningful insights. I am an established Marriage, Family Therapist with a 31-year practice in Thousand Oaks and Woodland Hills. Being also a professional artist before becoming a therapist, I have a unique way of approaching psychotherapy which allows me to easily address all aspects of my client’s Being: Mind, Body, Emotions, and Soul. 509 Marin St., Suite 234, Thousand Oaks, Ca. 20301 Ventura Blvd., Suite 214, Woodland Hills, Ca.